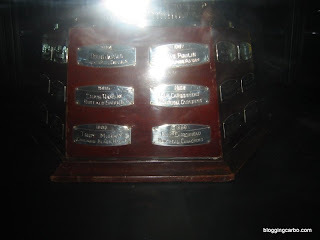 One of the enduring Carbonneau myths is that, during a Stanley Cup party in 1999 at the house of Pantera drummer Vinnie Paul, Guy threw the trophy off Paul's balcony into the pool. 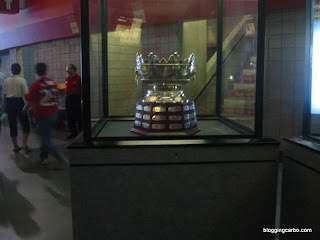 Lord Stanley missed the pool slightly, leaving a three-inch ding. 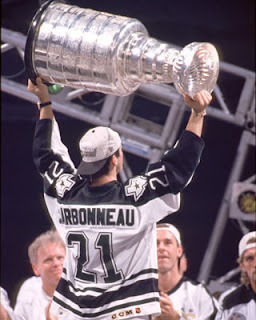 What is known for sure is that the Cup was dented while the Stars had it. But the organization never explained how the dent got there. Carbo denies the story. Vinnie Paul claims it is true. So does teammate Craig Ludwig, who was also at the party. 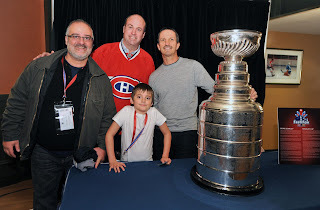 I prefer to believe that my hero didn't dent the Stanley Cup, and if did...I can't blame him for denying it. Who would want to admit to something like that? I have already once blogged about the strength shown by Guy during the 1999 playoffs when his father, Charles-Aime, died suddenly. I feel the need to revisit it again because it is something that speaks to me directly. 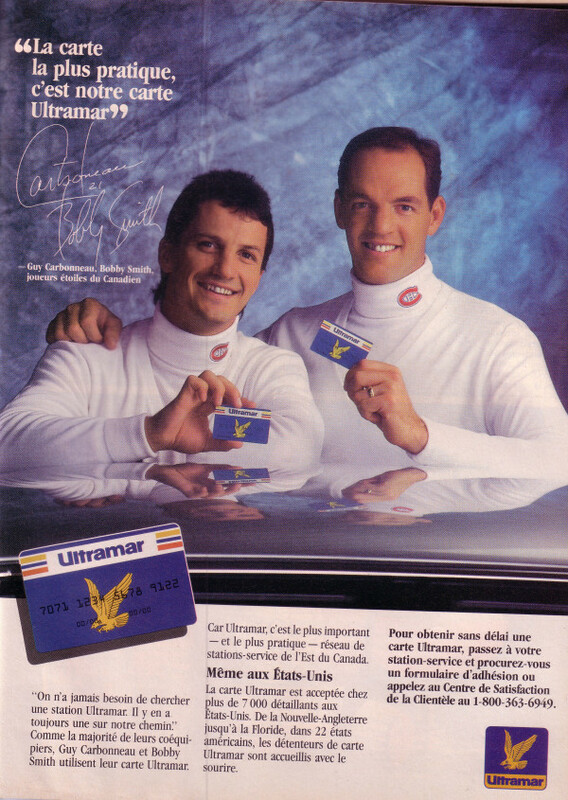 If I may talk about myself personally for a moment, some may wonder why I blog about Carbonneau. 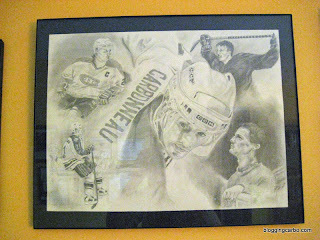 It might seem odd to blog about an NHL player, even more so to blog about a former NHL player. I started this blog not only in tribute to Guy, but also as something of an escape. On June 27, my own father died of a sudden heart attack. Guy lost his father the same way -- he said at the time that it "took everyone by surprise." It is also true with me. There were no warning signs. 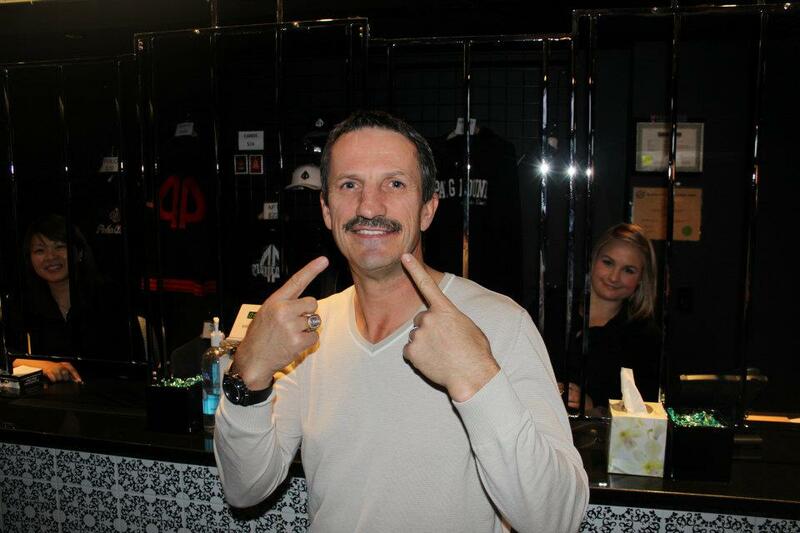 To say that I miss my father is a huge understatement. 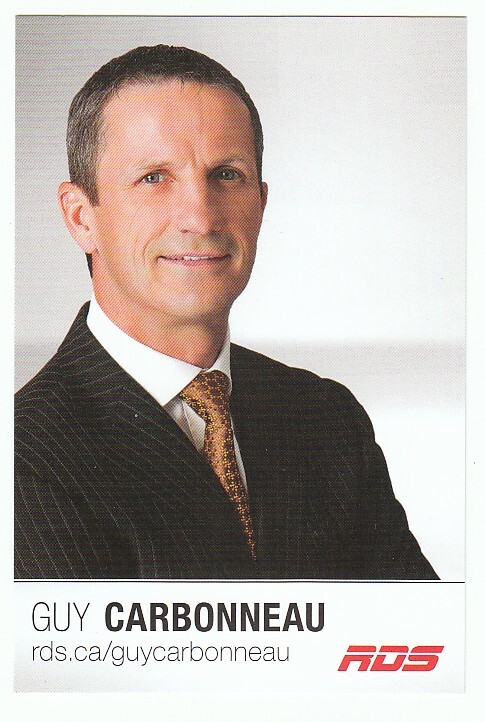 The two big heroes in my life are Guy Carbonneau, and my father. It is an enormous loss. And I find strength from Guy's example because there are plenty of days when I feel very sad and wonder if I can even keep going. 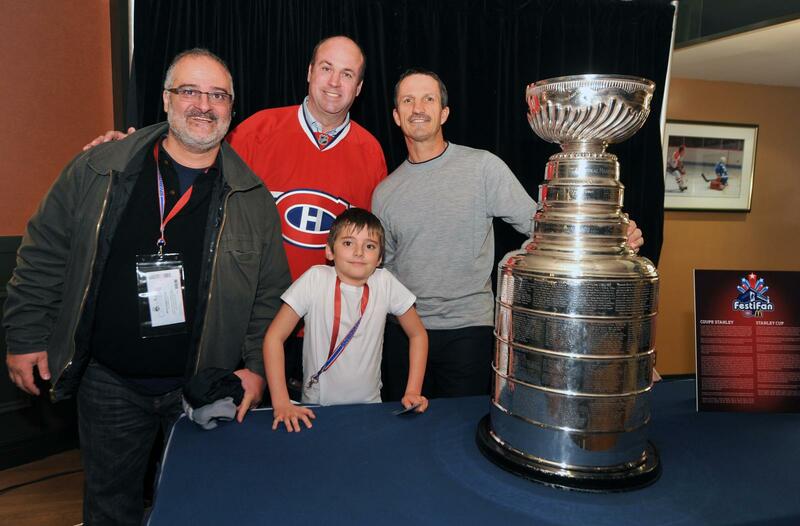 I cannot speak for Carbonneau's experience of grief -- but he played hockey through his loss, and won that Stanley Cup for his dad. It inspires me. It is funny because my dad hated hockey. (He did, however, correctly predict the outcome of the 2010 Canada-USA gold medal game.) 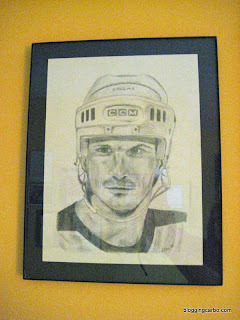 He'd probably shake his head at me finding solace in hockey, and Carbo, and blogging. But I do, and in part it's why I write this blog. Not only because I feel that Guy deserves it, but it keeps me distracted, gives me something to focus towards. I hope that those of you who read this blog enjoy it as much as I enjoy writing it. 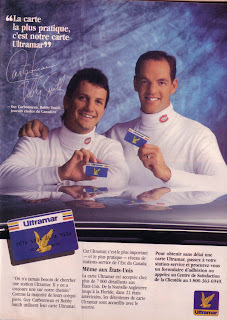 May I use my blog space for a moment to lament the lack of a Carbo McFarlane figurine? This annoys me supremely because many of Guy's contemporaries from that era have had figurines made (the latest being Wendel Clark). 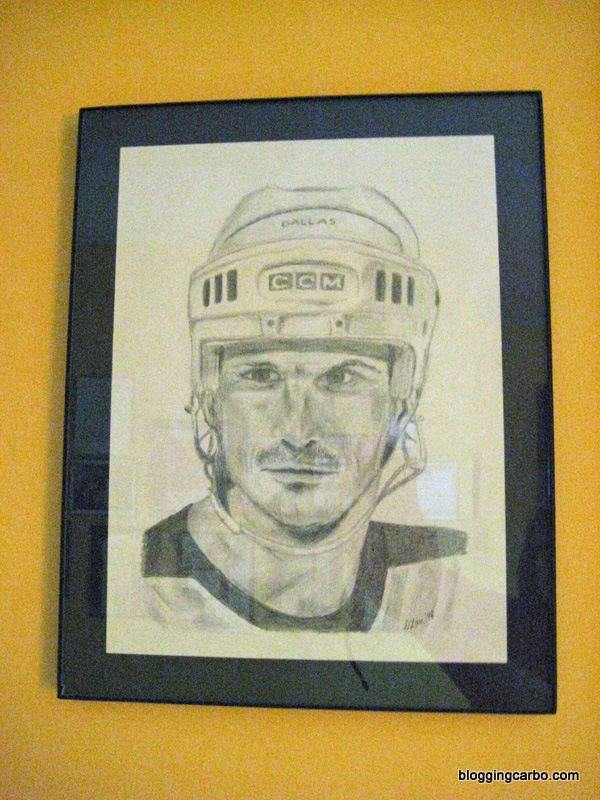 Carbo may not have been a superstar, but he was still one of the most recognizable players from that time! The other option is to make a custom figurine which I may try my hand at someday (someone did make a Carbonneau custom once, but that has since disappeared online). There he is on my shelf, along with a few other Carbo things. The resemblance is striking -- they certainly got the nose right. Still, this doesn't excuse you, McFarlane Toys. Get with the program! On this day in 1982, rookie Carbo scored his first NHL goal! 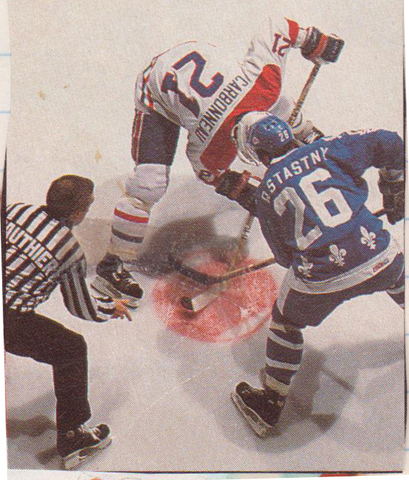 The goal was scored on Daniel Bouchard during a 9-5 Canadiens win against the Quebec Nordiques at the Forum. Other facts about Guy's rookie season: Dan Daoust was traded to the Leafs to make room for Carbonneau on the roster, a move which initially earned the consternation of Canadiens fans when Daoust became a quick success in Toronto. 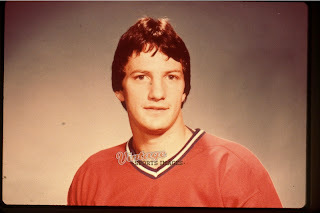 Initially spending a lot of time on the bench as a fourth line center when coach Bob Berry usually only played three lines, he became a defensive forward when teamed with Bob Gainey to play against the opposition's top lines. Guy quickly showed his mettle, playing 77 games and notching 18 goals and 29 assists. 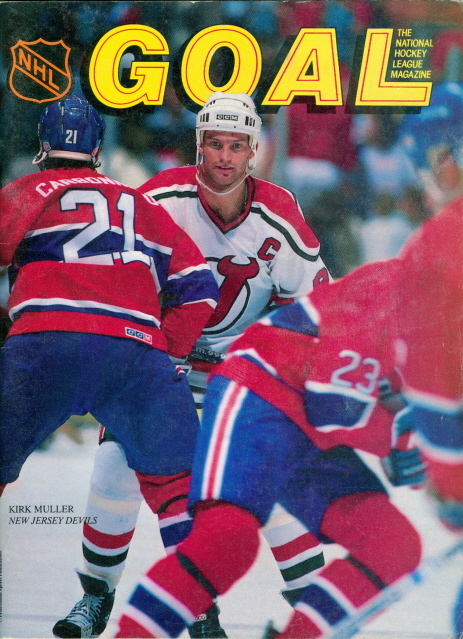 That year, Guy was tied for most shorthanded goals by an NHL rookie with five. 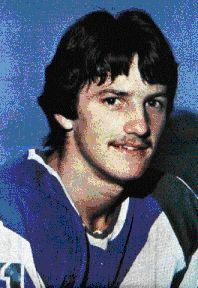 He also scored the first of his two career hat tricks on January 6, 1983 against Los Angeles. This season, the Canadiens have been off to a rocky start. 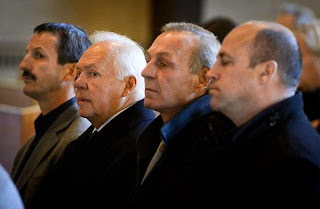 They have lost six of their last seven games, and some reports have surfaced out of Montreal that coach Jacques Martin's job may be in jeopardy. 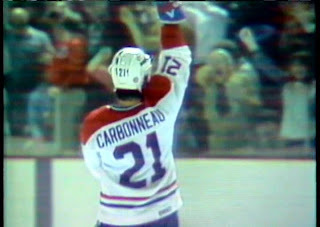 Which has led me to ponder and reminisce about the last Habs coach firing; which, of course, was our Carbo. 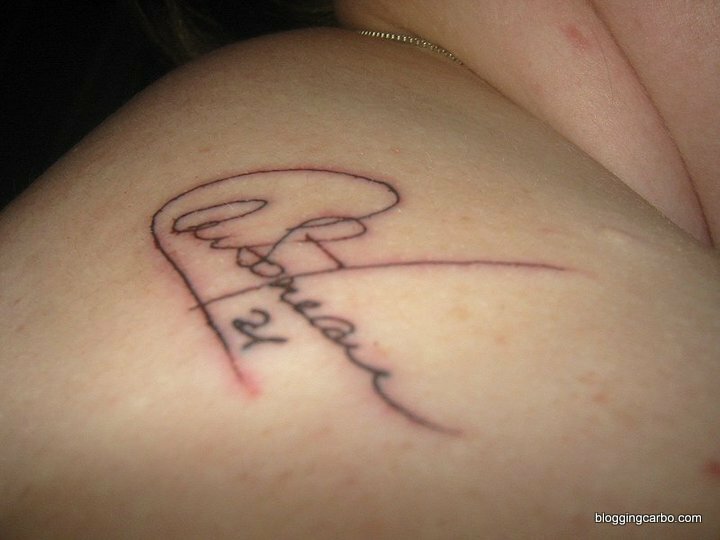 March 9, 2009 was a day that I -- as a Carbo fan -- will never forget. I remember exactly where I was when I learned of the firing. I had just come back from a walk to the post office (where, perhaps ironically, I had received a new Carbo hockey card for my collection). 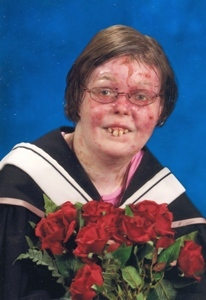 I sat at my computer and opened my friends page on LiveJournal, where there was a post from my friend Kaitlyn offering condolences to me with a link to the TSN story. That was how I heard the news. 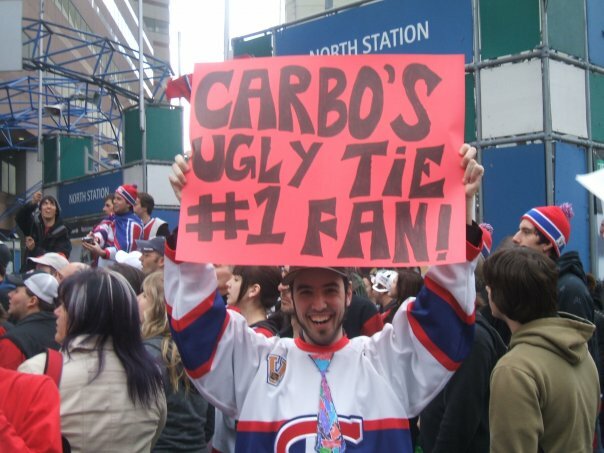 It was, even before that, a rough time to be a Carbo fan. 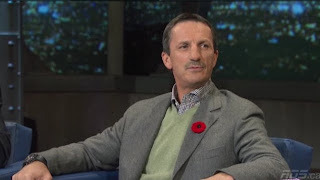 I found myself defending him in various hockey communities from disenchanted Habs fans who wanted to see him fired (a task that is no burden to me; I decided when I threw my lot in with this man that I'd have his back no matter what). 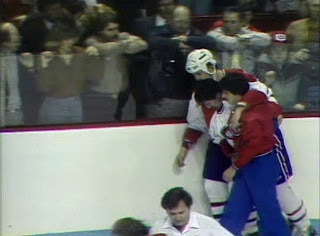 It has been said that being a coach in Montreal is the hardest job in hockey, and the Habs had high expectations that year with celebrating their centennial season. 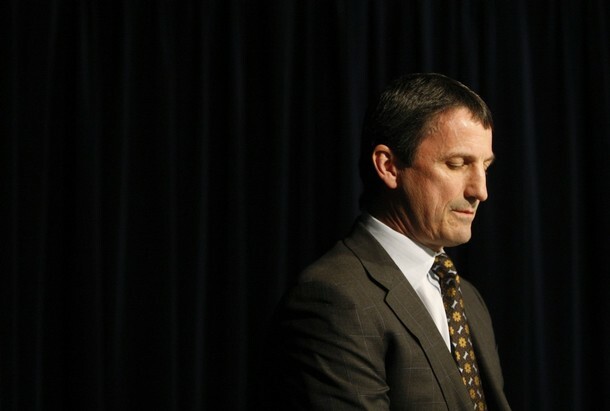 The results were disappointing, the team was 8-11-1 in the twenty games prior to Guy's firing. Still, that January, he had earned a place behind the bench at the All-Star Game in Montreal, which gave me great pride. The day before Carbo was fired, the team played Dallas, and won. I could see the pride in his face at his successful return to the Lone Star State. 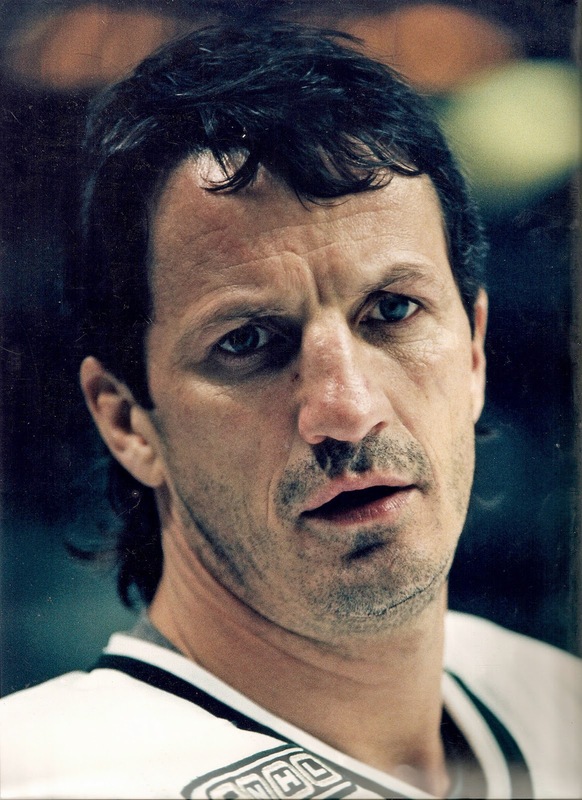 Then, on March 9, he was driving home from picking up his dogs after the team flight from Dallas landed when he received a call from Bob Gainey asking to meet. 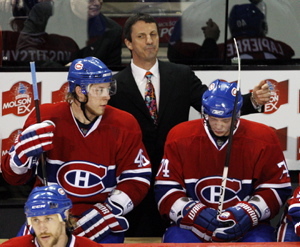 He would be the coach of the Canadiens no longer. I admit, I shed some tears. Even with my personal bias put aside, it seemed to me that the firing was premature. After all, Guy had a winning record: 230-124-83. 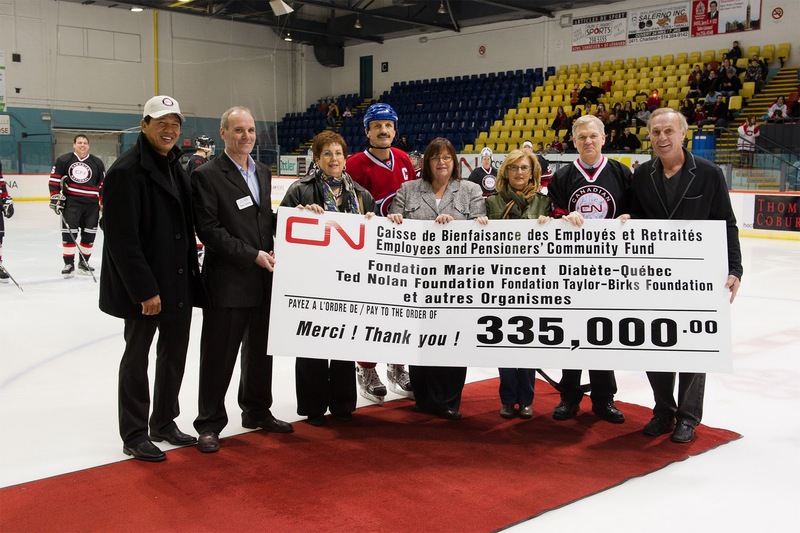 He had been nominated for the Jack Adams Award just the previous year. 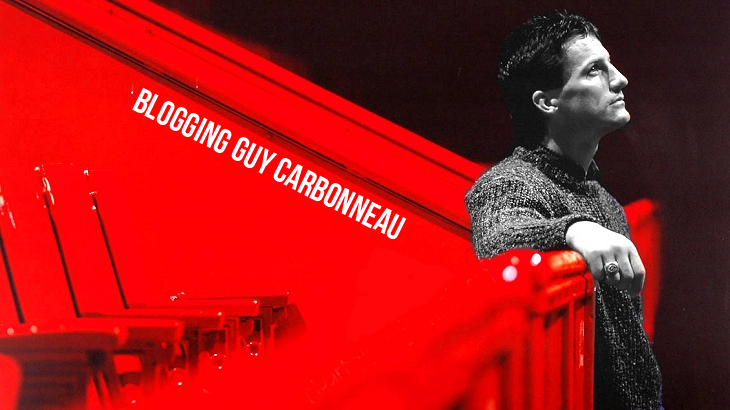 To many, perhaps even to Carbonneau himself, the reasons for being let go are still murky. Perhaps we'll never know. Nine days later, on his 49th birthday, Guy sat down at the Bell Centre to bid the Canadiens farewell. With that same class that won my admiration, and certainly the same class he always exhibited as coach and player -- never saying a bad word about Gainey, the organization, or the media. Then, later that evening, he went to a quiet birthday dinner with his family. It is always a sad thing when someone has to lose their job. But in coaching, it is of course expected. 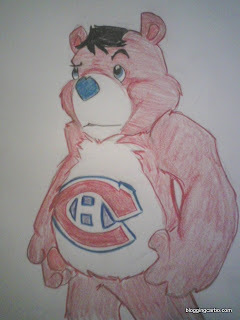 It is early in the season, and I do hope the Canadiens can turn it around. In 2008, I was lucky enough to get to attend the NHL Draft here in Ottawa. 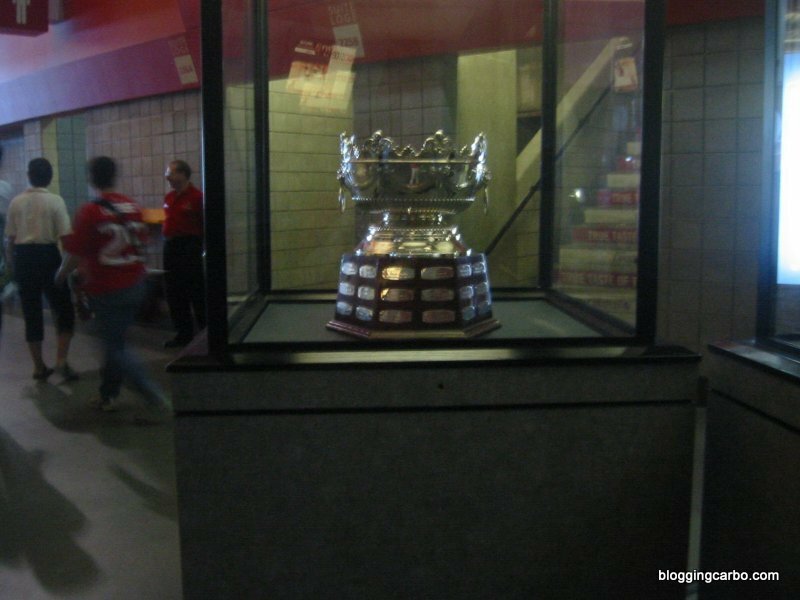 All the NHL trophies were on display in the concourse and of course, being the Carbo fan that I am, there was only one that I was really interested in seeing. The Frank J. Selke Trophy, awarded yearly to the best defensive forward in the NHL (which Guy won three times; in 1988, 1989, and 1992). Carbo, in cookie form -- complete with lucky tie. 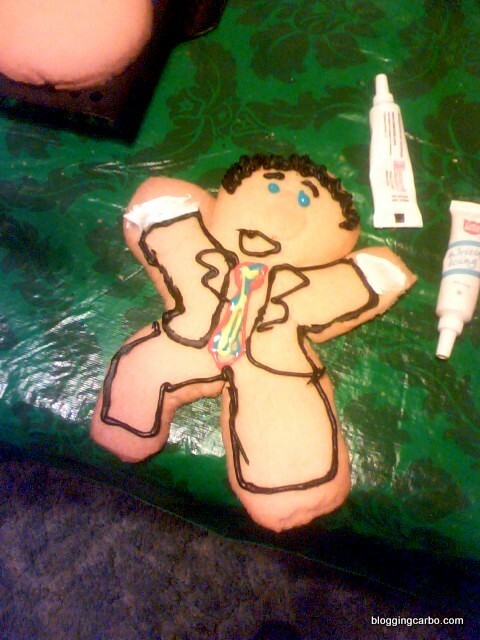 He was then promptly devoured by said boyfriend, who noted later that Guy makes a good breakfast. Of course I collect Carbo memorabilia, and have for the past four years. There's not a whole lot of stuff anymore that I don't have -- some things, like my Kraft Drawings poster and Nescafe mug, I've waited the whole four years to obtain. 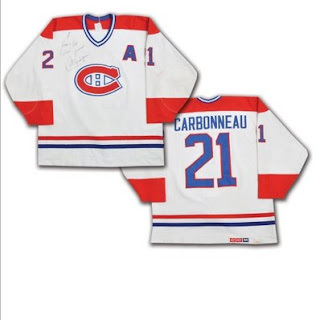 My holy grail is a Carbo game-worn jersey -- but being unemployed, as I currently am, leaves that particular item elusive to me. (Which has been quite frustrating at times.) I find the subject of game-worn memorabilia fascinating. What better than a piece of history that your favorite player actually wore on the ice? The puck marks, stick slashes, and board burns are evidence of that player's drive and passion to play hockey. This 1995-96 home Dallas jersey sold in a Lelands auction in 2001. What I find annoying about discovering this item is that had I been a Carbo fan at the time, I had a job then and the means to bid. Argh! Anyway, I digress. A close friend, who herself is the biggest fan of the goaltender Manny Legace, noted to me that it's interesting how we place different meanings on certain periods in our favorite players' careers. For me, I value Carbo's years in Dallas most. Why? 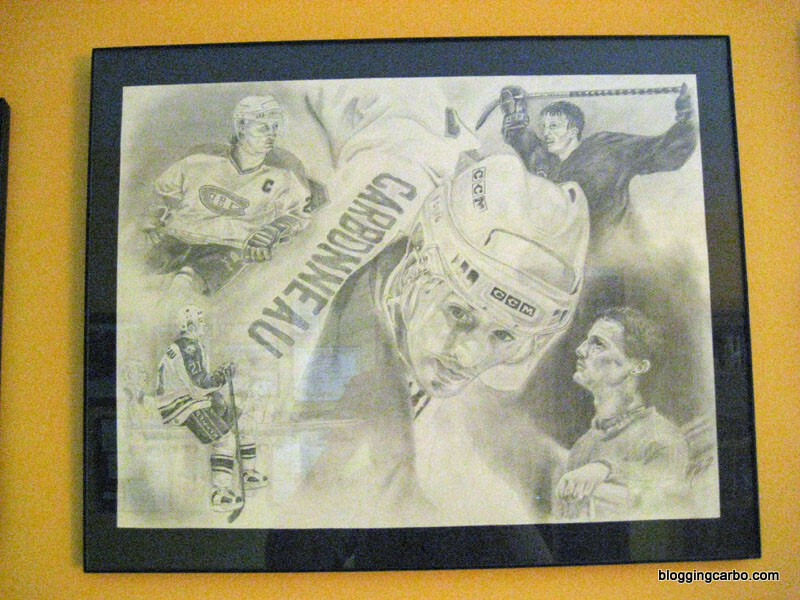 Because in 1994, he was abruptly traded from the Canadiens, a move that I can only imagine caused great upheaval for his family, as well as nearly convincing him to retire. Guy played for a year in St. Louis -- a season that was shortened by a lockout -- before being placed in a waiver draft in October 1995. 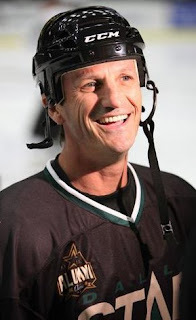 On the eve of the 1995-96 season, Bob Bassen was injured, the Stars needed a center, and general manager Bob Gainey traded for his former linemate. 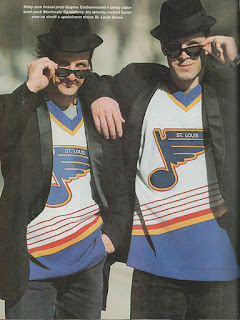 Which led to five more years of hockey, and another Stanley Cup. Imagine if Guy had never gone to Dallas -- his daughter Anne-Marie certainly would never have met Brenden Morrow, a union that has blessed the Carbonneaus with three grandchildren. It's funny how things work out. Some things are just meant to be, I guess. 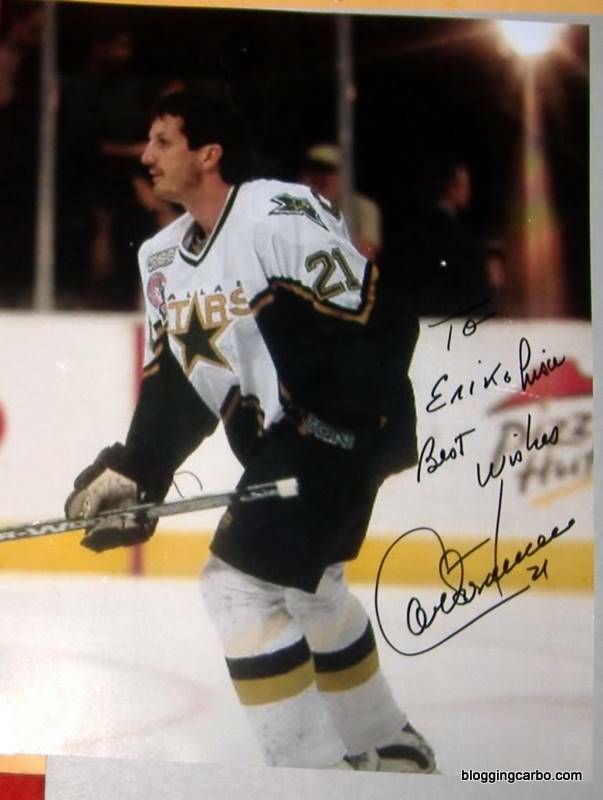 To this day, Carbo is one of the most beloved Dallas Stars alumni. After his retirement in June 2000, fans so strongly wanted his #21 to be retired that the Stars placed a moratorium on the number being worn the following year. I personally noted that when the Stars asked their fans on their official Facebook page who was their favorite Stars alumnus, many named Guy. 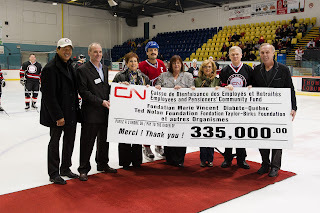 It is that drive, that passion, as well as the way Carbo always conducted himself off the ice -- always a gentleman -- that makes him so loved and admired. The jersey pictured here is my favorite style worn by Dallas. The jerseys worn by that team in the '90s were simply beautiful. But it is for a bigger reason that if I had my pick and the cash to spend, a Dallas jersey would be my Carbo gamer. If I may be a puckbunny for a moment, this is just cute. Apparently our hero is finding the time on RDS a little long. This was posted on YouTube by three different people. Moral of the story: don't get caught yawning on RDS, or it'll wind up on the Internet for posterity. While in Dallas for the 2011 Alumni Classic Weekend, Guy was asked his thoughts on the current state of the Dallas Stars and their chances for bringing another Stanley Cup home. "It's hard to say [if this is a playoff team or not]. I think last year, they were right there," he said. "They win one game and they would have been in the playoff. They've got more experience this year and a little more depth. But you look around the league and a couple of injuries here and there and you can be out of the playoffs. You look at all 30 teams and you can probably pick one or two teams that are guaranteed to make the playoffs. There are maybe one, two or three guaranteed not to make the playoffs but every in between can be a surprise." One thing he can declare is that the club is in good hands with a former Stars teammate in Joe Nieuwendyk calling the shots as the Dallas General Manager. Thanks to two dear friends, Alice (please visit her photo blog if you are so inclined) and Chantelle (who does not have a blog/website but if you're in the Petawawa, Ontario area, stop by her smoothie shop, Euphoria Smoothies, and tell her I sent you) -- the blog now has a domain! Point your browser to www.bloggingcarbo.com. The old Blogspot address will forward to the domain as well. This is one of my favorite photos of Guy, taken during the 1999-2000 season. (his last as a player) It is by the photographer Brad Amodeo.